Looking for a job in Kendall County Illinois? 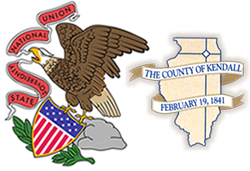 This Kendall County Illinois job guide is a resource for job seekers looking for legitimate employment opportunities in the region with an emphasis on government positions, top healthcare employers, public school careers, and major job boards. Kendall County Illinois periodically posts job openings. Open positions found on this review date had included Civil Attorney, Natural Beginnings Preschool Instructional Aid, Kendall County Historic Preservation Commissioner, and County Clerk Kendall County Election Judge. Check for updates. The City of Aurora was hiring for the positions of Telecommunications Operator and General Seasonal Worker during this review. The City of Joliet periodically has open positions such as Clerk Typist - Finance / Customer Services, City Manager, Firefighters/Paramedics, and School Crossing Guard. Visit the City of Plano periodically for upcoming employment opportunities. The City of Yorkville had job openings on this review date. Visit their employment portal for opportunities such as Yorkville Public Library Jobs, Recreation Department Jobs, and more. Village of Oswego had open positions available on this review date. Positions found included Assistant Public Works Director Utilities, Marketing Specialist, Community Service Officer, and Police Cadet. Caterpillar Aurora had open positions for Welder, Machinist, Welder Inspector, and Welding Trainee. Menards Distribution Center was hiring on this review date. Open positions found included Distribution Manager Trainee, Fleet Mechanic, Industrial Mechanic, Manufacturing Manager Trainee, Production Team Member, Summer Warehouse Jobs, and Warehouse Team Member. KishHealth System Valley West Hospital, part of Northwestern Medicine is a 24-bed critical access hospital in Sandwich, IL. Job openings found included PRN Respiratory Therapist, Part-time Outpatient Oncology Registered Nurse RN, Full-time OB Nurse, Clinic Office Assistant, PRN Radiologic Technologist, PRN Dietitian, PRN Phlebotomist, PRN CT Technologist, Operating Room Registered Nurse RN Educator, Infection Preventionist, Cook, Full-time Staff Nurse, Labor & Delivery Tech, EVS Tech, PRN Respiratory Therapist, Full-time Registered Nurse RN Emergency Department ICU, PRN Occupational Therapist, and CT Technologist PRN. Linden Oaks Medical Group Comprised of three hospitals - Edward Hospital, Elmhurst Hospital and Linden Oaks Behavioral Health. Morris Hospital Yorkville Campus services include family medicine, obstetrics & gynecology and allergist physician services, immediate care, physical therapy, and occupational medicine, along with a number of diagnostic services. Kendall County Health Department periodically posts career opportunities for healthcare professionals. As one of the largest healthcare systems in the area, Edward-Elmhurst Health offers a spectrum of opportunities-from clinical and counseling positions to jobs in customer service and hospitality. Hillside Rehab & Care is a part of Helia Healthcare that offers active recovery, skilled nursing services, rehabilitation & restorative services, and long-term care services. Open positions available on this review date had included Registered Nurse RN Part Time, Licensed Practical Nurse LPN PRN, Certified Nursing Assistant CNA, Housekeeping Assistant, Culinary Assistant, Registered Nurse RN PRN, Licensed Practical Nurse Part Time, and Registered Nurse RN Full Time. Sandwich Rehabilitation & Health Care Center provides nursing care, Alzheimer's care, memory care, and rehabilitation. Here you may find open positions such as Activity Director, Cook's & Dietary Aide's, MDS Care Plan Coordinator, Prep Cook, and Registered Nurse RNs / Licensed Practical Nurse LPNs. Please note that the jobs listed in the school jobs section represent a sampling of jobs found on a particular review date. You can visit the links provided for the most current opportunities. Newark Community Consolidated School District 66 had numerous employment opportunities on this review date for certified and non-certified support staff. Open positions found included Spanish Teacher Job, English Teacher Job, Physical Education Teacher, Hearing Impaired Itinerant Teacher, Speech-Language Pathologist Job, Special Education Teacher Substitutes, Library Assistant Job, Certified Autism Intermediate Teacher Job, Bus Driver Job, Building Principal, Wrestling Coaches, Dual Language Teacher Job, Elementary Bilingual Teacher, ELL Teacher (Spanish), Kindergarten Teacher Job, 1st Grade Bilingual Teacher, Early Childhood Teacher, Second Grade Teacher Job, ESL Teacher Job, Elementary School Teaching ESL Job, 6th Grade Teacher, School Custodian, Physical Education Teachers, Reading Specialist, Custodial Positions, Quest Food Services Jobs, Substitute Recess Aides, Algebra Teacher, Geometry Teacher, Biology Teacher, High School Science Teacher Job, Custodian Job, Substitute Custodian, Mathematics Home Bound Tutor, Math Teachers Job, Art Teacher, English Language Arts Teacher, PE Teacher, 7th Grade Social Studies Teacher, Clerical Positions, School Secretary, Office Aide, Campus Monitor, School Nurse, Special Education Teacher, LASP Special Education Teacher Job, Registered Occupational Therapist, School Psychologist Intern, School Registered Nurses, School Social Worker, School Nurse Substitutes, and Substitute Teaching Jobs. Oswego Community Unit School District 308 was hiring. A sampling of open positions found included Elementary Assistant Principal, Special Education Coordinator, Assistant Girls Volleyball Coach, Substitute Teacher, Dual Language Bilingual (Spanish) Kindergarten Teacher, ELL Sheltered English Instruction Grade 5, Elementary Art Teacher, Industrial Technology Teacher, English Teacher, Mathematics Teacher, Physical Education Teacher, Science Teacher, Custodian, Administrative Assistant - Teaching and Learning, Accounting Analyst, Extended School Year Deaf/Hard of Hearing Itinerant Teacher, Special Education Resource Teacher, School Counselor, Guidance Counselor, School Psychologist, Speech Language Pathologist, Special Education Teacher Assistant, Crossing Guard, School Bus Driver, and School Bus Monitor. Plano Community Unit School District 88 consists of Plano High School, Plano Middle School, Emily G. Johns Intermediate, Centennial Elementary, P.H. Miller Elementary, and Plano Area Special Education Cooperative. During this review there were a number of employment vacancies for teachers and support staff. Yorkville Community Unit School District 115's featured employment listings may included 3rd Grade Teacher, ESL Teacher, Paraprofessional Jobs, 6th Grade Teacher, Reading Specialist, Lunch Aides/Supervisors, U.S. History Teacher, Custodian, Paraprofessional, Math Teachers and Tutors, English Language Arts Teacher, Physical Education Health Teacher, PE Teacher, and more. Sandwich Community School District #430 encompasses 50+ square miles and is located in northern Illinois about 30 miles southeast of DeKalb and about 60 miles west of Chicago. The Sandwich community has a population of approximately 7,000. Plainfield Community Consolidated School District 202 tends to provide a substantial array of career opportunities for teachers and support staff. Waubonsee Community College is a fully accredited community college with a four campus network, state-of-the-art facilities, and a dedicated team of professionals that has helped make Waubonsee one of the fastest-growing community colleges in the state. The recruitment of qualified and diverse personnel is the cornerstone of JJC's commitment to an innovative, collaborative and inclusive educational community. Kendall County Now | Classifieds Employment often has listings such as those found during this survey: Superintendent, Grants Manager, Maintenance Technicians, Dental Hygienist, Firefighter / Paramedic, Plumber, Tellers, Estimator / Manager and Body Technician, Auto Switchboard / Cashier, Account Executive, Inside Sales Account Executive, School Bus Drivers, Psychotherapists Needed, Front Desk/Medical Receptionist, Administrative Assistant, Nurses, RN / LPN, CNAs, Regional Drivers, Sales Professional, Part Time Administrative Assistant, Desktop Support, Mechanical Engineer, Public Works Maintenance Worker, Production Operator, Front Office Assistant, Clerk Typist, and Electrical Workers. Yorkville Area Chamber of Commerce is a great resource to use for exploring area businesses, economic climate, workforce information, cost of living, and more. The Village of Oswego maintains a business directory that can be useful for identifying potential employers in the area. The Oswego Chamber of Commerce promotes the growth and prosperity of our members by connecting them to resources, relationships, and value-added benefits to foster a successful business community. Monitor the State of Illinois web-based electronic hiring system for job openings in Kendall County. IDES - Illinois Department of Employment Security provides services for job seekers such as Apprenticeships, Hire the Future, Illinois Skills Match, Job Fairs & Special Events, Migrant Seasonal Farm Worker Program, Re-Entry Employment Service Program, Disabilities Resources, and more.